Samsung has introduced its latest Tablet Galaxy Tab A (2017) in Vietnam, the successor of last year’s Galaxy Tab A (2016). Let’s check out the specs of this device. 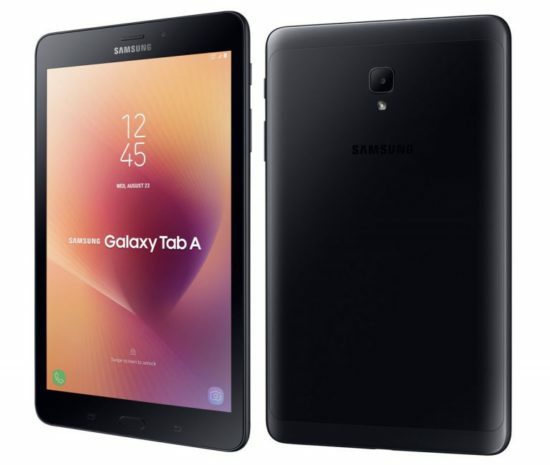 Samsung Galaxy Tab A (2017) sports an 8-inch WXGA TFT display with a resolution of 1280×800 pixels. The handset is powered by Quad-Core 1.4GHz Snapdragon 425 processor along with Adreno 308 GPU, 2GB RAM, and 16GB onboard storage. The storage can be expanded up to 256GB with microSD. Out of the box, it runs on Android 7.1 Nougat. This handset has an 8MP rear camera with LED flash and f/1.9 aperture. For selfies, it has a 5MP camera on the front. Connectivity options for this device include WiFi a/b/g/n, Bluetooth 4.2, 4G LTE and in some region will get voice calling facility. To keep the lights on, the tablet has a massive 5000mAh battery. 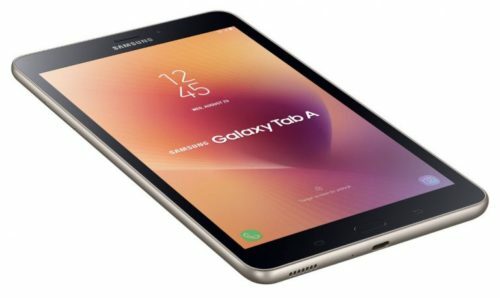 Samsung Galaxy Tab A (2017) comes with a price tag of 6490000 Vietnamese Dong ($285/Rs. 18230 approx.) and now available in Vietnam. No news for global roll out. It comes in Black and Gold color variants.